YOUR HEART! YOUR HANDS! YOUR TIME! 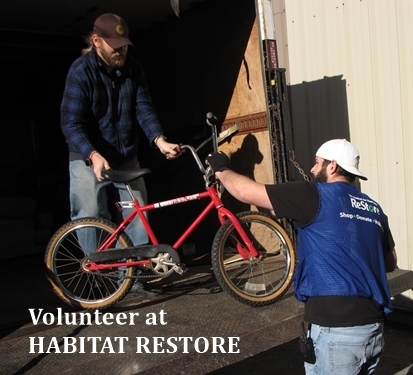 Volunteer opportunities exist at the ReStore, on our construction sites, and in our office. 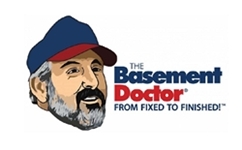 We are always seeking passionate, caring and knowledgeable people from our community. No experience is necessary – but those with special construction or office skills or professional licensing are especially needed, even if for just one project. Join us and work alongside others who have committed themselves to action. 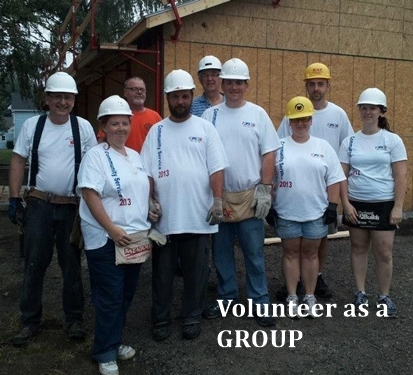 All volunteers must complete a liability waiver and complete safety training before starting their work. You may volunteer at the ReStore any day it is open. To volunteer for construction and unique projects, please check the Event Calendar or click on the Sign Up button below. 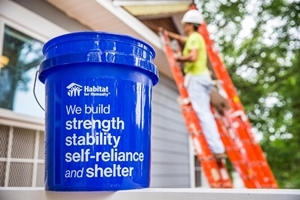 Nothing creates community like building a Habitat home together. Manage an existing group or start a new one —our projects involve companies, service clubs, professional associations, church groups, and many other kinds of organizations. To arrange your group's participation, contact Mark Suderman our Volunteer Coordinator, and he will find a work opportunity for you. 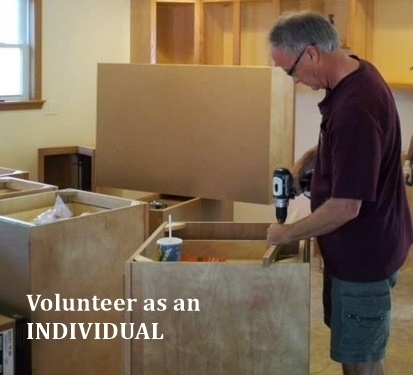 Committee members are volunteers who serve behind-the-scenes making sure the Affiliate is prepared for each project and to serve as many local individuals in need as possible. Our standing committees include ReStore Support and Development, Church Relations, Family Selection, and more. Our Board of Directors volunteer and commit to governing the operations so the affiliate may fulfill its mission. 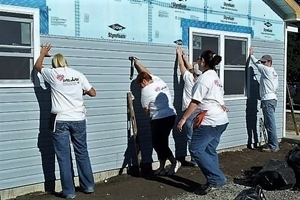 Our Board members are asked to invest time in understanding the vision of Habitat for Humanity and how our specific affiliate lives out that vision. For more information on how to become a Board or Committee Member, contact Bruce Hilty executive director. We appreciate all our volunteers and do our best to make sure everyone has a fantastic experience. Part of having a great experience is safety. 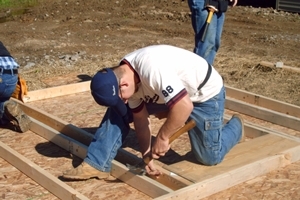 Due to the hazards of construction and other types of work, there are some limitations on what volunteers under 18 may do.